IF you own a second home or investment property in Spain, the chances are you’re thinking about letting it – or already have done – to cover running costs or earn extra income. Here’s some food for thought. A professional acquaintance recently let a villa in Sierra Blanca that was also up for sale. But, when he then found a buyer for the property and told the tenants they would have to leave, they invoked their right to renew for up to two more years, putting a stop to the sale and making the owners very unhappy. To confirm what owners ought to consider when letting property long-term, we talked to a trusted lawyer friend, Adolfo Martos Gross. Adolfo is a founding partner of the Gutiérrez del Álamo y Martos firm, which has offices in Malaga and Marbella and specialises in civil and commercial law, particularly real estate, construction, planning, insolvency, and international law. Rental contracts should always be in writing, ideally in as much detail as possible. Verbal agreements are valid in Spain, but open to interpretation, so, to avoid problems, ensure everything that could constitute a contract is in black and white. Having a lawyer check the contract protects your interests is a very worthwhile investment. 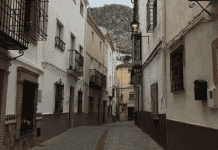 In Spain, tenants are particularly well-protected. Long-term contracts are normally for a 12-month period, which can be extended, year-by-year, up to a total of three years. Landlords can raise rent above inflation, only if improvements are made, increases meet stipulated standards, and add up to less than 20% over 12 months. A tenant’s right to buy can be expressly waived in primary residence contracts, allowing owners to sell with just 30 days’ notice. In case of rent arrears, landlords now have greater powers to evict those who cannot, or do not, pay. Eviction proceedings can begin after just one month’s arrears and, once the court notifies tenants of a demand, they must settle debts or appeal in 10 days. If it is expressly stated in the contract, non-payment can give rise to immediate termination, subject to notarial or judicial order, letting the owner recover a property. But, if tenants pay off rent owing at any time during the proceedings, the original terms of the contract still apply. In practice, however, eviction proceedings may last for an eternity, if there are problems notifying tenants or delays in taking the case to court. The average time to regain possession, via the court, is six to nine months. Regarding taxes, resident owners should simply include retain income in their annual income-tax declaration. Non-resident owners must pay 24.75% tax on rental income, with the right to deduct this if they reside in another European Union member state. Tax must be paid every three months, Adolfo notes. Finally, all long-term rental contracts must be registered with the Property Registry (Registro de la Propiedad), both to protect owners’ and tenants’ rights, but also to ensure tabs are kept on rental agreements nationwide and, potentially, new taxes can be levied on rental income in the future.